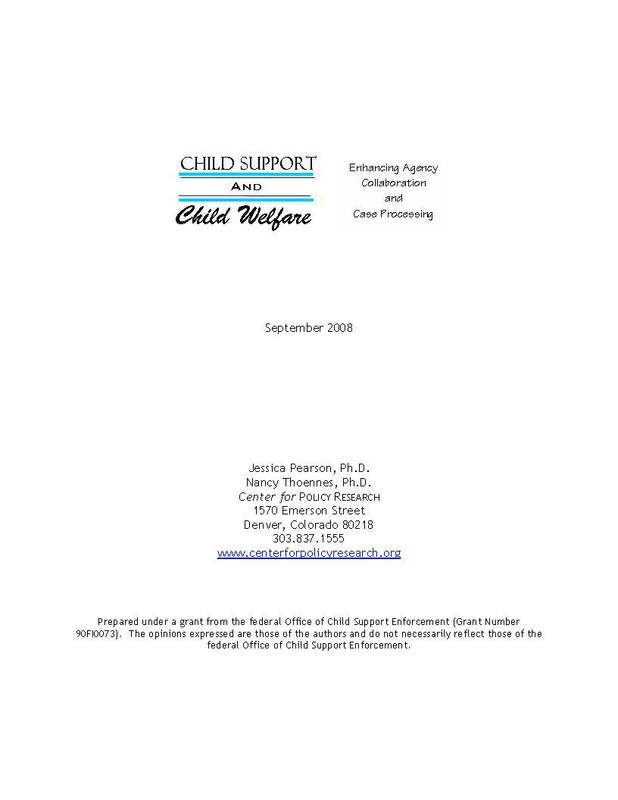 What child support agencies share in common with child welfare agencies is children. Not simply children in the abstract, but often the very same children from the very same families — very often, poor families. When child support and child welfare operate entirely independently, the end result can be poorer outcomes for families. Vital information known to one agency may be missing at another. Absent parents who might be a resource for a child may not be located. Parents with children in foster care may receive child support in error and face the prospect of making repayments. Or, child support may never be established even though it would help the family to reunify and be self-sufficient.